About Sweet Cures of York:Their primary product ‘ Waterfall D-Mannose®’, from Sweet European Forest Timbers, is packed in York, in their clean room facility, They are dedicated to providing the highest quality products available, are thus in control of either quality or deliveries. It is a pure grade product, and they firmly believe there is nothing better on the market. 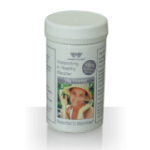 With Waterfall D-Mannose soluble powder, you just get pure natural 100% bio-active D mannose. 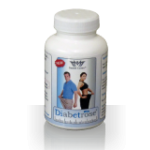 They consider that nobody knows more than them about using D mannose to help urinary tract, bladder, and prostate problems, and in particular, they know our own products, how they work, why they work and how to use them to achieve the best effect. Since they started the company, Sweet Cures in 2003, their range of products has increased to include D-ribose, Xylotene, probiotics, oregano oil and urinary test papers.